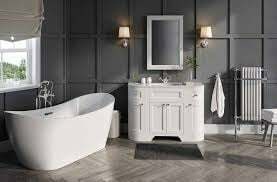 Come and visit our bathroom showroom where one of our friendly approachable team can help you decide and choose your bathroom. We work with a large number of well known quality brands and suppliers. This means we can achieve your dream bathroom whatever your budget. Our shop and trade counter is bright and welcoming. Well stocked with a huge variety of all your plumbing and building needs. So whether you are an established tradesman or a novice at DIY our friendly and helpful team can assist you with your requirements. We also sell a wide variety of the latest designer radiators as well as traditional radiators in any shape or size. We offer a service of shaping radiators to fit bay windows.